The saying “feast or famine” comes to mind when referring to Blue Öyster Cult live appearances, at least in my particular case. After having missed the band countless times in the past few years, finally in 2011 I had the opportunity to see them not once, but twice – a rare occurrence indeed. The 25-year wait had wetted my appetite, and, not surprisingly, my review of their February 12 gig at Baltimore’s Bourbon Street was coached in glowing terms. In spite of the loss of their status as one of the biggest draws in the world of “stadium rock”, accompanied by constant line-up changes, the legendary outfit could still deliver the goods – and then some. This time around, the concert was scheduled to take place in a real, old-fashioned theatre, one of the most popular institutions in the Washington DC metro area – a handsome Art Deco building that has been providing musical entertainment to capital dwellers for over 70 years. While the State Theatre has frequently hosted BÖC performances in the past, their last appearance there dated back from early 2008 – meaning that those who had not wanted to travel to Maryland to catch them in the past three years were definitely chomping at the bit. The theatre – a roomy, white-walled, high-ceilinged space with about 200 comfortable seats in the balcony, a small standing area in front of the stage, and a number of dining tables at the main level for those who want to combine the pleasures of music with those of food. Indeed, the smell of chili wafting upwards from the dining area and the happy noise of the diners made for a rather distinctive experience. With well-stocked bars and spacious common areas, the theatre allows for social interaction – unlike the average music club, where the dim lighting and loud volume of the background music often get in the way of conversation. Even if for BÖC the days of massive, state-of-the-art light shows and special effects are gone, to paraphrase one of their songs they certainly do not go through the motions whenever they are on stage. The attendance reflected their reputation as one of their best live acts around – even if the lack of a record deal has prevented them from releasing any new material following 2001’s Curse of the Hidden Mirror. For a long-time BÖC fan like me, it was heartwarming to see people of all ages flock to the State Theatre. A guy sitting in the balcony, not far from us, had brought his young son (a boy of around 7-8 years of age), and there were also a lot of women – many more that at the average progressive rock concert. Anticipation ran high among the crowd, and the short opening set by six-piece Midnight Hike – an enthusiastic though not particularly impressive local outfit, very much in the alt-rock vein – was greeted with polite indifference. I could not help being a bit jealous of the lucky denizens of the New York area that, the night before, had been able to witness a double bill that also involved Uriah Heep, another legendary band that can still deliver in spades. After the opening set, the stage was rearranged in short order, and at around 9 p.m. a volley of rather scary electronics (referencing some of the band’s best-known material) signaled the entrance of the long-awaited heroes of the evening. This time, charismatic frontman Eric Bloom was very much on board – relieving the burden that had been placed on Buck Dharma on the Baltimore date – and in fine shape, his witty banter (which included a couple of fleeting but rather barbed political references) adding spice to the musical offer. Bassist Rudy Sarzo, on the other hand, was engaged with Dio Disciples (who were playing the last date of their US tour), and was replaced by an old acquaintance of BÖC fans, Emmy winner Jon Rogers, who cut a dashing figure with his bobbed silver hair, dark shades and bright red bass guitar. The almost 90-minute set included the inevitable “Godzilla”, “Hot Rails to Hell” and “Don’t Fear the Reaper”, which are always great to hear in a live setting. However, as much as I love BÖC’s out-and-out rockers, I found the central part of the concert, dedicated to some of their longer, more complex songs, especially satisfying. Besides the UFO-themed “The Vigil”, with its enthralling blend of the melodic and the sinister, and the deceptively catchy “Harvest Moon”, with its suggestion of disturbing Stephen King-like happenings in a quiet country town (perfectly rendered by the intense guitar bridge), we were treated to rousing versions of the towering biker epic “The Golden Age of Leather” and the BÖC-meets-Hawkwind space saga “Black Blade” – inspired by the Elric of Melniboné tales by British fantasy/sci-fi author Michael Moorcock. Though, the set was not as Buck-centric as in Baltimore, when the guitarist had had to perform Eric Bloom’s role as well as his own, the pocket-sized six-stringer delighted the audience with his stunning, yet remarkably understated skills. The magnificent coda to “Cities on Flame” erupted after the audience had been teased with a series false starts; while the heart-stopping second half of the solo of “Last Days of May” – played at almost impossible speed – contrasted Buck Dharma’s cool, collected approach with Richie Castellano’s textbook-shredder performance (announced by Bloom with his customary deadpan humour). After Castellano had thrown the expected guitar-hero shapes and extracted all sorts of wailing sounds from his guitar, Buck unleashed his full firepower with effortless grace. Bloom and Castellano alternated behind the keyboard rig, with a particularly impressive organ run bolstering Buck’s guitar exertions in the splendid instrumental tour de force of “Buck’s Boogie”. While Buck’s politely melodic voice is still perfectly in command, Bloom’s gruff bellow has lost a bit of his edge: however, his delivery on the dramatic “Black Blade” was as effective as ever. Though BÖC delivered a top-notch performance, the quality of the sound was somewhat disappointing, and took some of the punch out of the guitar-based songs, such as opener “The Red and The Black”, while the drums were occasionally too loud in the mix. Though I was elated by the inclusion of some of my personal favourites, I agreed with my husband when he stated that he had found the Baltimore gig more involving. I would also be happy if the band considered delving deeper into their peerless back catalogue, including some of their more complex, multilayered songs in their sets and retiring the likes of “Godzilla” or “Burnin’ for You” at least for a while. On the whole, however, in spite of this minor quibbling, it was an evening of great music from one of the greatest bands in the history of rock. It is to be hoped that their recording deal woes will end as soon as possible, allowing them to release some long-overdue new material. Great review Raff! I always enjoyed the Cult, I saw them twice in the mid 80s. Once as a headliner, and once opening for the Oz. They blew Ozzy off the stage! I remember wishing we could have just had another BOC set and skipped Ozzy. 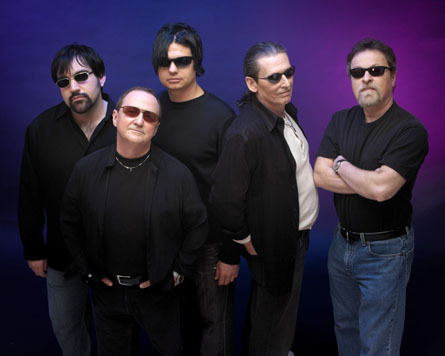 Blue Oyster Cult. In my humble opinion is classic rock that touches ones mind, spirit and heart! If you haven’t seen them live… You should .. And if it has been a while go ahead and treat yourself to their mastery…. Indeed! Thank you for visiting, Julia! Hope you enjoyed the blog!